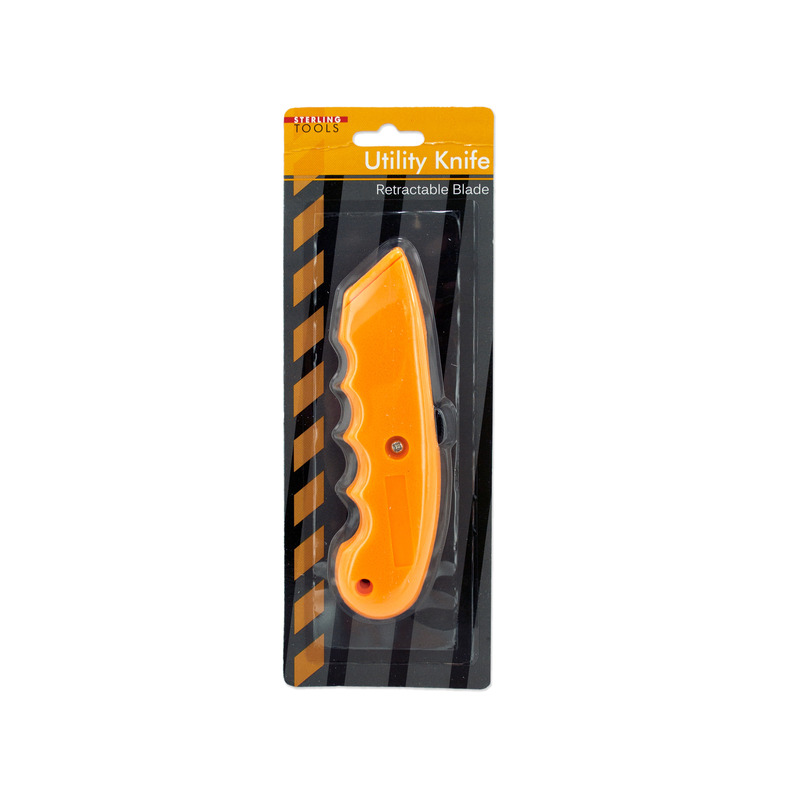 An ideal tool for breaking down boxes, opening packages or precision cutting, this Retractable Utility Knife has a retractable blade and a grooved body for a firm hand grip. Case is made of durable plastic and blade is made of strong metal. Measures approximately 6" long. Comes packaged in a blister pack.